← I’m NOT the only weird one. . .
What exactly does “modern quilting” mean? What does “modern quilting” mean? I’m sure each of you has your view on this. And some of you are very opinionated about it. 🙂 Well, you’re being invited to share your views on the Modern Quilt Guild site. There will be posts every day this week. Check it out and don’t forget to chime in. I just received the fabric and potholder you made me… beautiful! Thank you very much! 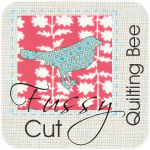 I can’t wait to see your next quilts! So glad you like them both Lynne! Enjoy! This is great, I am really inspired. 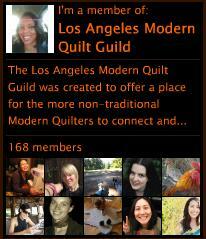 I’d like to start a group for Orange County quilters. Would it be possible for you to send me the contact information for the person I need to contact to get started? I tried clicking on the contact us button on their home page but I don’t have a mail client so I couldn’t get the address. Thanks so much if you get a chance to reply back by email. That’s awesome Kathy! I’ll respond via email.